Wesmark Family Dentistry always appreciates feedback from our valued patients. To date, we’re thrilled to have collected 65 reviews with an average rating of 4.86 out of 5 stars. 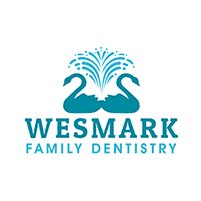 Please read what others are saying about Wesmark Family Dentistry below, and as always, we would love to collect your feedback. My dentist assistant was very kind to me and made me feel comfortable. I do have a lot of dental issues and she made me feel like it's going to be ok. The dentist gave me hope that I can have a great smile again. I love this place! Great service all around. 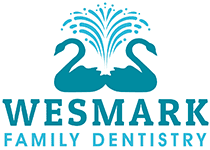 Wesmark Dental is extremely professional and courteous. I felt very at ease and comfortable at my visit. So thankful to have found them. Dr. Wagner was kind and informative and gave me a comprehensive plan for my oral health. We were taken care of quickly and very efficiently. Every person was very sweet and polite! Dr. Hurst has been my dentist for years and I couldn't imagine going anywhere else. He is kind and gentle and very thoughtful. He takes great care of my teeth. Jessica, the hygienists is the best. Gums love gentle hands. Mary Ashley is a wonderful hygienist. She makes every visit very pleasant. Well, all of the staff and Dr. Hurst are very nice. Nice atmosphere. Professional, informative, appointments on time or before if available. Quality of care, and materials are some of the best that can be provided . 15 yr customer still satisfied with there care. I was very happy with my service. Everyone was nice and helpful. Can't wait to go back for my next visit. I'm very scared of the dentist, but they have help me through my visits. I will recommend them to my friends. My hygienist was very sweet from the start even though I ran a bit behind time. I felt comfortable and Dr. Hearse was kind and professional as expected. Deep cleaning is new to me but overall the experience was great! I like the constant reminders for my appointment. That's a big plus! Looking forward to my next visit. I had to have xray on a tooth that broke. Called for appt., went 30 min. Later. Dr.Hurst came in shortly after I arrived and checked my tooth. Now I have to have a crown (not for my head tho). The young ladies explained all I needed to know. You all know where I am going! Truly. I highly recommend this Denistry Office. I USE TO BE TERRIFIED OF ANY DENTIST!!! Cleaning and exam. The work was professional and quick but well done. Everyone was very professional and knowledgeable. Very pleasant to deal with.